- How do I find out what my talents and passions are? - What if I love something I'm not good at? - What if I'm good at something I don't love? - What if I can't make a living from my Element? - How do I do help my children find their Element? 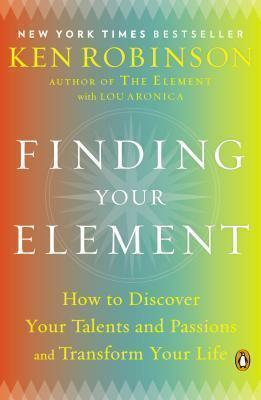 Finding Your Element comes at a critical time as concerns about the economy, education and the environment continue to grow. The need to connect to our personal talents and passions has never been greater. As Robinson writes in his introduction, wherever you are, whatever you do, and no matter how old you are, if you're searching for your Element, this book is for you. Sir Ken Robinson, Ph.D., is an internationally recognized leader in the development of creativity, innovation and human potential. He is also one of the world's leading speakers and has had a profound impact on audiences globally. Born in the U.K., he now lives in Los Angeles. Lou Aronica is the author and coauthor of several books, including the national bestsellers The Culture Code and The Element. He lives in Connecticut.